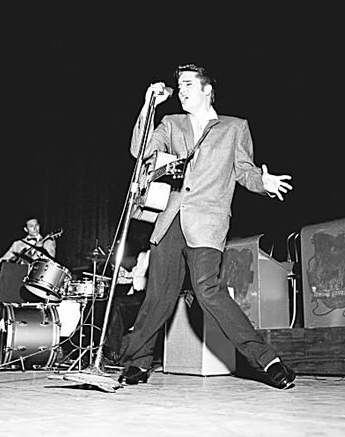 Police Officer 230 must have thought it was his lucky day on June 3, 1956, when he was part of a law enforcement contingent assigned to work Elvis Presley’s show at the Oakland Auditorium. 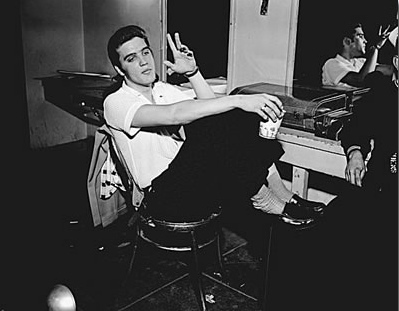 While his fellow officers dealt with the noise and pandemonium in the arena during Presley’s performance, Officer 230 found himself posted all by himself in an empty hallway in the Auditorium’s dressing room area. He was going to earn his overtime pay in quiet contemplation far away from the maddening crowd. What Officer 230 didn’t realize, however, was that Elvis had retired to his dressing room between shows, and thousands of teenage girls from the first show’s audience were looking for their idol. Suddenly the hallway doors at one end burst open and a tidal wave of screaming girls swept down upon the startled officer. An article and an advertisement in the Tribune on May 31 informed Bay Area teenagers that Elvis was coming to Oakland just three days later. On Sunday, June 3, two shows at 3 and 8 p.m. were scheduled in the Auditorium. Tickets were scaled at $1.50, $2.00, and $2.50. It was just the second time that Elvis played California. Two months earlier he had performed in San Diego following his first appearance on The Milton Berle Show. The crowd size and box office take in Oakland were actually low by Presley standards in mid-1956. Variety reported that an afternoon audience of about 3,000 and an evening crowd of near 2,500 paid a combined gate of only $9,000. Reporter Hays judged the two-show total higher at 6,400. 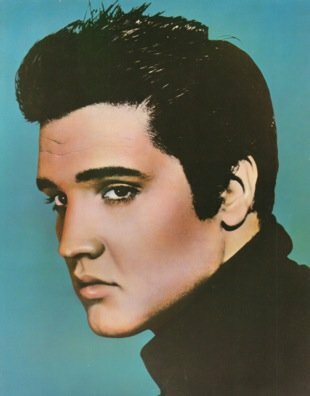 After Elvis’s evening show, he waited in his Auditorium dressing room for a half hour until he could be escorted safely to his waiting car. He had a pressing engagement in Los Angeles two days later. In fact, the main reason he had come to California at that time was for his June 5 appearance on The Milton Berle Show. 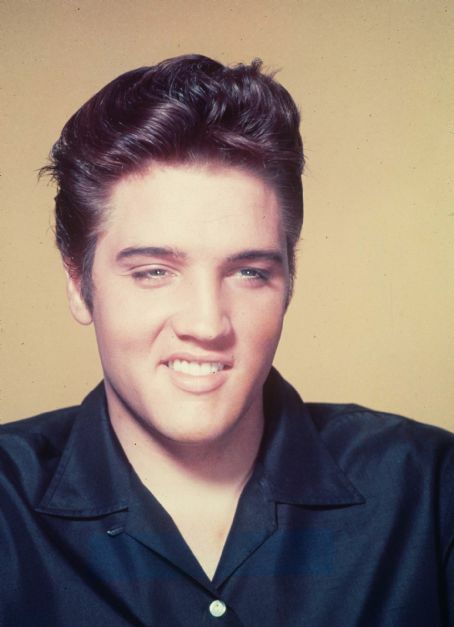 Bay Area teenagers were fortunate Elvis had an open date while in the state.